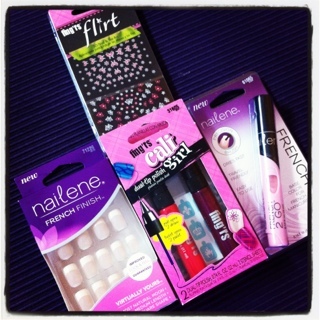 One really exciting thing came in the mail this week… a package full of Nailene and Fing’rs products! At the beginning of Decemgber Fing’rs had an offer on their website, you had to fill out their survey and they would send the first 500 people a package of products. I was starting to think this would never come – some people got their packages over a month ago – but mine finally showed up this week! The only other thing that came this week was my coupon for a free box of Maple and Brown Sugar Quaker Oatmeal – my favourtie! YUM! This entry was posted in free, free product coupon, mail and tagged free, free product coupon, mail on February 26, 2012 by Courtnie.